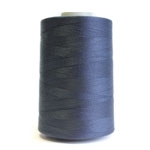 Coats Aptan is a lubricated nylon thread made from pre-stabilised continuous filament nylon 6.6. Coats Aptan is an excellent sewing thread for all types of leather and offers excellent abrasion resistance. It incorporates a soft finish with a superior low friction lubrication which reduces the effects of needle heat and abrasion.